Intaglio print hand-pulled by the artist. 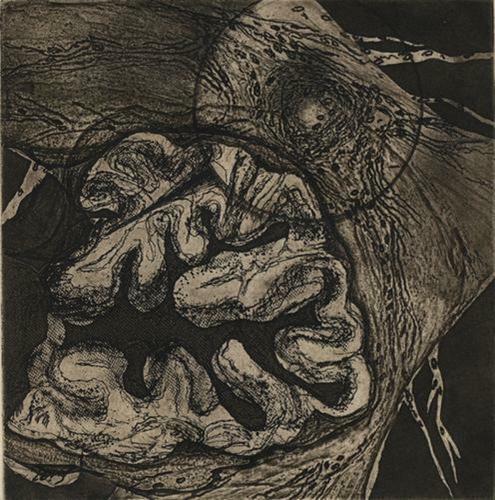 Aquatint, spit bite, softground etching. This is an artist's proof of a print that is in the permanent collection of the Corcoran Gallery of Art in Washington, DC. and was part of the Corcoran College of Art print portfolio in 2004.